All day Thursday, August 10, presidential aides and supporters dutifully spread the word that Bush's decision on stem cell research was based on principle rather than polls. In fact, the statement delivered on national television Thursday night was a carefully crafted study in ambiguity calculated to minimize political damage from an issue that has ardent partisans on both sides. Groundwork for the compromise had been laid by top Bush advisor Karl Rove, in meetings earlier this year. Concerned about the effect of a compromise position on stem cell research with politically active Catholics, pro-life activists, and other conservatives, Rove is reported to have reassured representatives of these constituencies that even though they might lose part of the stem cell debate, the president was on their side. Half an hour before the Bush speech, staffers began phoning supporters and critics with advance word of the decision in a clear attempt to influence political reaction. Given the ambiguous and sometimes misleading pronouncements of the decision itself, the event appears to have been more aimed dispelling the widespread image of Bush as an intellectual lightweight who is out of touch with the common folk than to actually address the underlying issues. Prime time national television is "a format that presidents traditionally reserve for explaining military actions or trying to extract themselves from difficult political binds." Details of the presentation seemed carefully crafted for political impact. For instance, the setting for the speech, the original house on the Bush Crawford ranch, was selected because it is simpler and plainer than the house Bush lives in currently. An unidentified administration official suggested to the NY Times that the timing and trappings of the announcement may have been intended to counter the image of the president as more interested in vacationing with his cows than attending to the business of the nation. "Look at the cosmetics of this," he said. "They now have his logo down there, paid for by taxpayer dollars, that says`Western White House'. There is no Western White House. They're clearly trying to push back on this notion that he's not engaged and out of touch." The number and seniority of administration officials making the round of network news shows underscored the extent of the containment effort. Presidential counselor Karen P. Hughes gave an hour-long briefing on Friday, August 10, in an attempt to validate the rhetoric about Bush's serious consideration of the issue. Props in her presentation included a day-by-day account of Bush's meetings, and a three-inch briefing book that had been prepared for him. The Economist voiced the view, echoed by others in the journalistic and scientific communities, that "many scientists believe that the president has imposed too many restrictions on future research." Beyond that, Bush's speech contained considerable ambiguity and innuendo. The NY Times characterized it as "... like a Rorschach, subject to various interpretations." (A Rorschach test is a psychological tool in which a subject's interpretation of inkblots is used to infer personality traits.) At one point Bush sounded like he supported the use of embryos created but not used by fertility clinics, saying "If they're going to be destroyed anyway, shouldn't they be used for a greater good?" Eventually Bush revealed that he would not permit federal funding of research using these embryos. Similarly he raised the question of whether an embryo was a human life, but did not take a position. Other critics derided Bush's statement as "a moral fumble that hides its essential cowardice behind sanctimonious rhetoric." 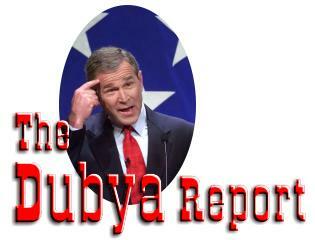 Salon.com managing editor Scott Rosenberg sees the Bush position as fundamentally dishonest. Bush's statement, Rosenberg points out, ignores the fact that thousands of embryos are destroyed by fertility clinics each year, quite apart from the question of stem cell research. If Bush is opposed to this practice, reasons Rosenberg, why not withdraw federal funding for fertility clinics? This would clearly be politically untenable: fertility clinics aren't "anti-life," -- their reason for existence is to help create families. Rosenberg suggests that the prudent choice for Bush would have been to prohibit federal funding for embryos created exclusively for research, but endorse the use in stem cell research of embryos created by fertility clinics. Calling the Bush position a "non-decision" Rosenberg concludes that concerns about the next election were foremost. The Bush decision limited federal funding to research using existing "lines" of stem cells. A line refers to a group of stem cells containing genetic material from a single individual. Federal funds could not be used to create embryos for stem cell research, or to use embryos created but not used by fertility clinics. While the decision does not affect privately funded research, costs put this kind of research beyond the reach of most private laboratories. Researchers questioned whether the 60 "lines" of stem cells were actually available. Glenn McGee, a a bioethicist at the Center for Bioethics at the University of Pennsylvania told Wired News, "I don't think any of us believes there are 60 available cell lines." Sean Tipton, a spokesman for the American Society of Reproductive Medicine echoed McGee's skepticism. "The president seems to have different information about the number of stem cell lines than do the best informed scientists and medical professionals," he said. "We fear that's indicative of the kind of information the president has been getting." Even 60 lines of cells would severely limit research because of the limited genetic variety they would represent. Finally, a Bush administration decision wouldn't be complete without an element of political patronage and pay off, and the stem cell statement is no exception. While most of the decision involves limiting research, a little-noticed provision actually eases some restrictions. Under the Clinton administration guidelines for obtaining embryos from fertility clinics, the process for obtaining informed consent from the donor was carefully specified. Specific wording was required to help guarantee that women did not feel that they were being coerced into donating their embryos. Moreover, only frozen embryos were permitted to be used in research, so that embryos could not be taken from a woman who had just undergone in-vitro fertilization. Ethicists have urged this practice, saying that women are emotionally vulnerable following such a procedure, and should be off-limits to researchers seeking embryos. The change in restrictions means that cell colonies created at the University of Wisconsin, home state of Health and Human Services Secretary Tommy Thompson, would now be eligible for federal funding. The University of Wisconsin cells were created from embryos obtained with consent statements worded somewhat differently from the Clinton administration guidelines. The University of Wisconsin has patented two processes or products relating to stem cell research. The patents are licensed commercially to Geron Corp. of Menlo Park, CA. A nonprofit corporation, WiCell distributes cells to researchers for $5,000 per batch. Scientists who develop profitable applications of stem cell research may be required to pay a portion of their profits to a university foundation.